Roses are red . . . We’ve all heard that little ditty numerous times. But have you ever wondered what makes red such a powerful color? Why does red make a bold fashion statement? Why does it look great as a feature wall in your home? Why does red pop on a book cover? 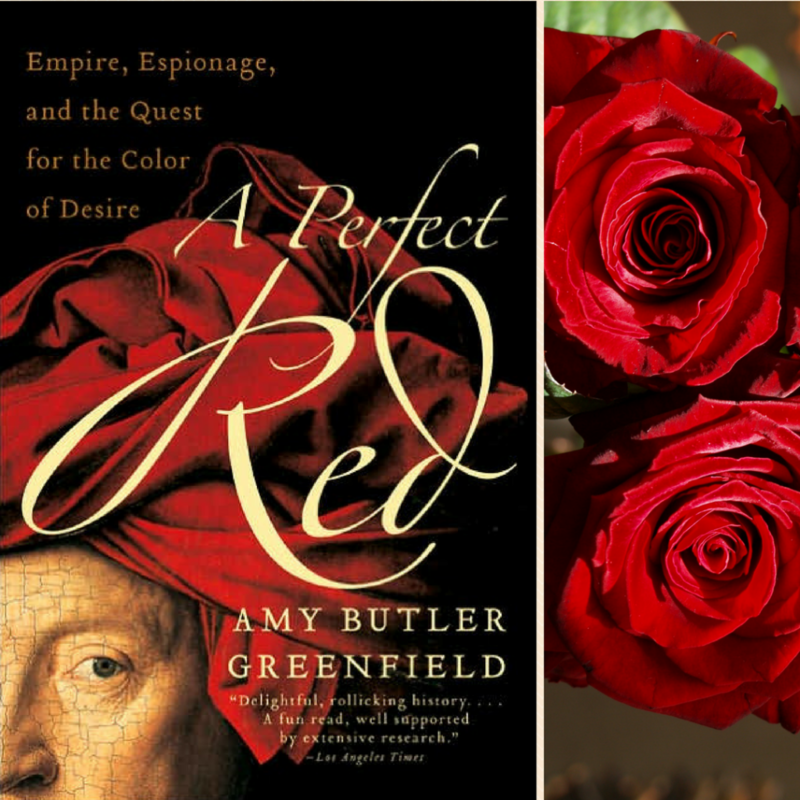 Amy Butler Greenfield’s fascinating book, A Perfect Red, traces the history and cultural impact of the color red. And guess what? 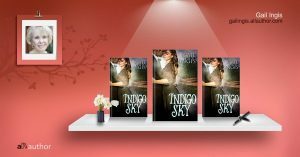 It all began with a little red bug called cochineal. Vast fortunes were created and international intrigue bloomed as countries battled to figure out how to beat Spain’s hold on the trade of a red dye. So valuable – it was traded on commodity exchanges in the 17th century. And of course I would be remiss if I didn’t mention how much I love red as an artist and painter. 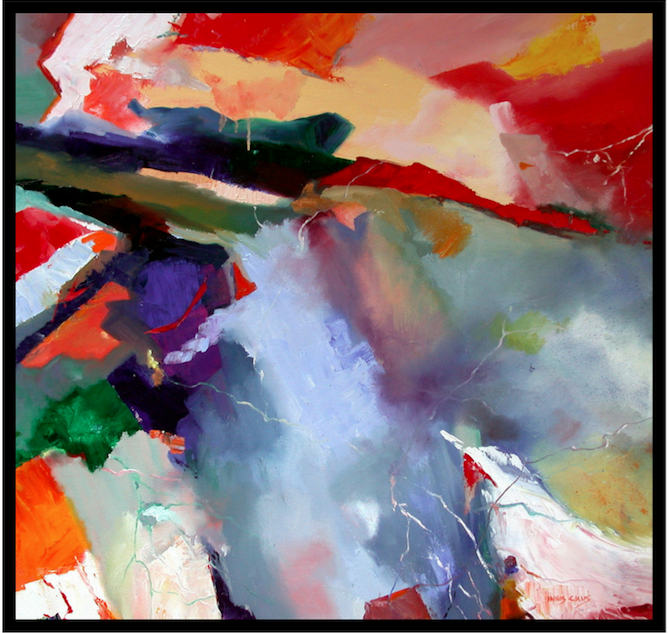 I often weave red into my paintings, like the one shown here. 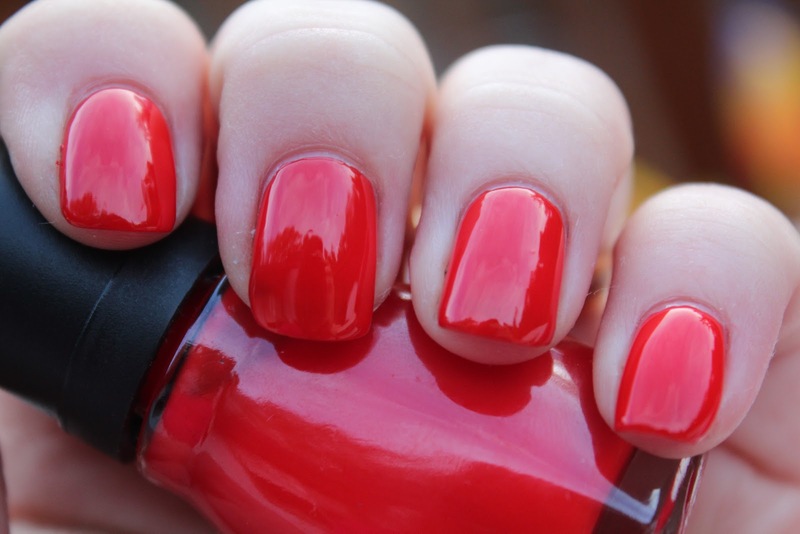 Clever red fingernail polish names: Red Abandon, Little Red Wagon, Don’t know . . . Beets me, Wanted . . . Red or Alive. Life is a Cabernet, An Affair in Red Square, and Breakfast in Red. Remember Dorothy’s beautiful, magical silver slippers from The Wizard of Oz? Not silver, you say? Well they started out as silver in the novel but when the new Technicolor process was used in the film version, the moviemakers wanted a color that popped—so, of course, they chose red. Ruby red. Charles and Ray (Bernice Alexandra) Eames: Together the husband and wife duo created some of the 20th century’s most enduring designs. Charles and Ray Eames are known for their classic modern furniture and for their pioneering work with materials such as molded plywood, which they created by pressing sheets of wood veneer against a heated mold. Through this work, in the 1940s the couple developed their iconic LCW (Lounge Chair, Wood), which has been called the best design of the 20th century. 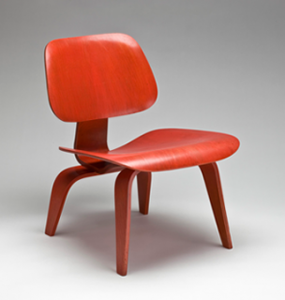 The Eames Molded Plywood Lounge Chair Wood Base, currently sold by Herman Miller, is striking in red. Today, the chair sells for north of a thousand dollars and is made in the United States. What’s your favorite red—either in your home/office or in your personal life? Used with permission, © 2014, Icon Magazine American Society of Interior Designers. Thanks for information about the book. 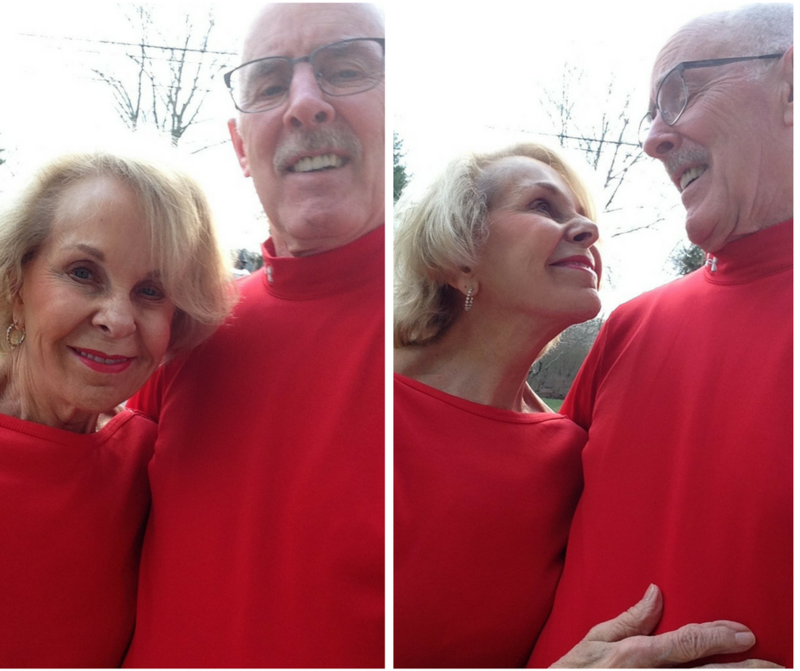 I have always worn red clothing. I like a true full-bodied red like a fire engine. Oh, me too. I love fire engine red. Lipstick too. Thanks for the comment! Enjoyed your take on RED. Hi Victoria, thanks, I’m glad you found it fun. That makes two of us. I read your Red article. Fun, Thanks Gail!